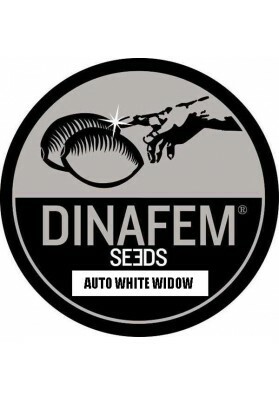 White Widow Auto is the new automatic version of the famous White Widow. It is a high yielder harboring the best features from its predecessor. It is suitable for medicinal purposes giving a potent and very corporal high. White Widow Auto is the new automatic version of the famous White Widow created by crossing White Widow with Critical + Auto and the result is remarkably faithful to the original White Widow, having an umistakable flavor and impressive resin production. White Widow Auto has however a greater CBD content when compared with White Widow, making it specially recommended for medicinal applications giving a potent and very corporal high. Hence, it is the ideal choice for those who want to fully relax. The plants of White Widow Auto gare easy to grow being suitable for both the expert and begginer grower, besides offering good productions. The only thing you must be aware of is the moisture as it is somewhat susceptible to it. Otherwise, it will thrive well indoors and outdoors, especially if the weather is mild and will produce heavy, solid, resin-covered buds of top quality. It is not in vain that is also called an overproducer. In only 75 days from germination you can get great productions ranging from 350-400 grams per square meter in a growing room or from 60-120 grams per plant in the outside. For the later we recommend to cultivate it from April to October.